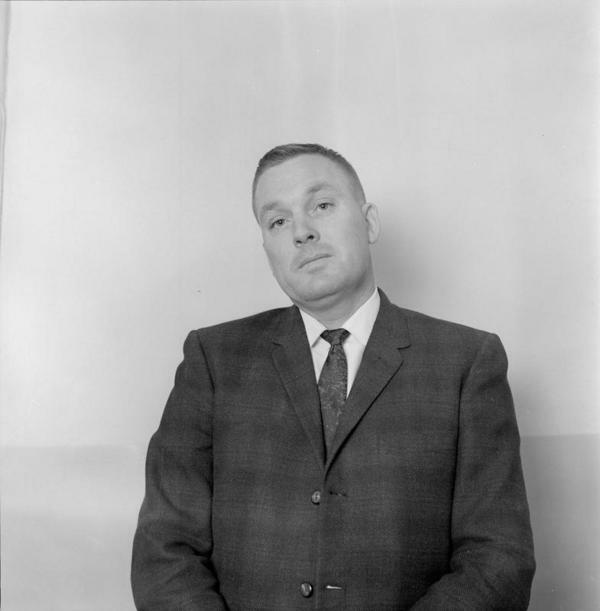 Description: January 24, 1968, arrest photo of Clifford Wilson. Wilson was one of 12 Jones and Jasper County (Miss.) men arraigned in Forrest County Circuit Court (Hattiesburg, Miss.) on charges of murder of Vernon Dahmer and arson of his house and store January 10, 1966.